They are the first fully removable brackets and arches in the world. They are not only innovative because of their aesthetics, but also because they offer excellent clinical results due to the fact they correct even the most complex cases. They were launched in Spain in 2011 and we are pioneers in this type of treatment. We also are one of the 4 clinics in Catalonia that offer this type of treatment. We are also present in Europe and Asia helping patients all over the world to recuperate their smile without scarifying the aesthetics during the treatment. The treatment can be offered to any individuals including famous people or teenagers, to anybody who needs an orthodontic treatment and worries about their image both in their social and professional life. What are the advantages of this dental device when compared with others? The SAR orthodontic system is fully efficient and aesthetic due to the fact that the brackets can be worn and removed when one wishes to. 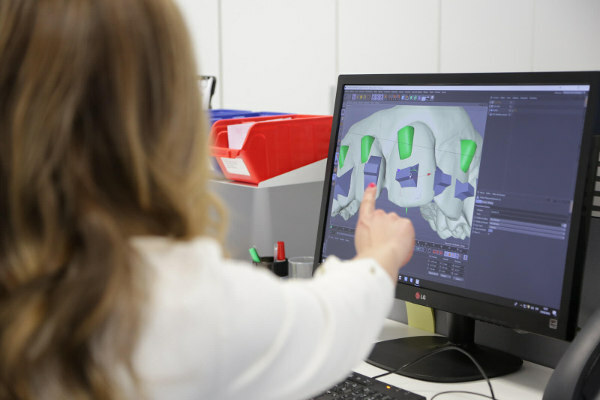 Moreover, they allow for personalised solutions with regard to the needs of each patient thanks to the meticulous design and manufacture process. This way, the orthodontist has more control and more precision when it comes to dental corrections. It also allows for balanced results. The structure of SAR allows for corrections in a quick and systematic way, which means that each tooth can be moved separately and the undesired movements of teeth can be avoided. SAR system can make the treatment period shorter, which, in turn, has a positive influence on the patient unlike the traditional treatment. The material used to manufacture SAR was created by NASA and comprises biocompatible polymer and hypoallergens. This makes SAR the best solution for patients with allergies. It is the only permanent treatment system that offers unique ‘put in’ and ‘take out’ arches and braces. SAR can treat all types of malocclusion. 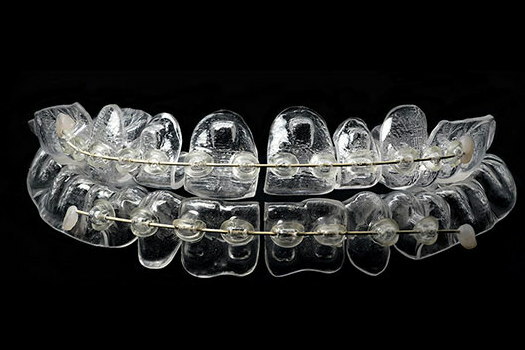 Until recently, in more serious cases the only available treatment was by means of the traditional metal braces. SAR is manufactured in a personalised way depending on each patient’s needs. This way all unnecessary dental movements can be avoided and the treatment is comfortable for the patient. The arc power and the three-dimensional control of the bracket achieve movements of up to 1.25 mm. a month.